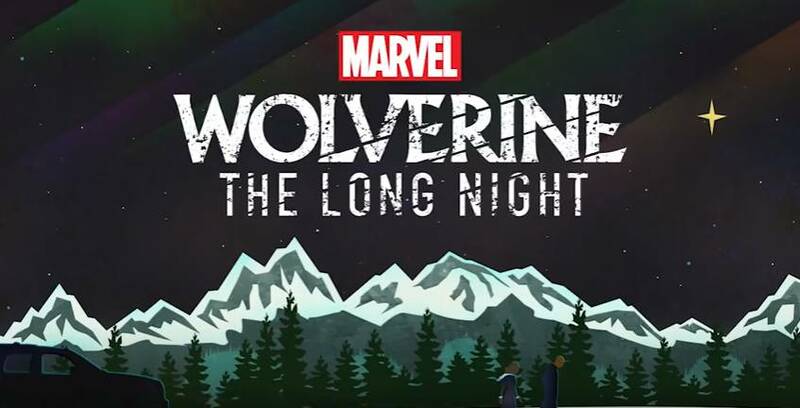 Marvel’s latest venture into the world of podcasts, “Wolverine: The Long Night”, recently began releasing on podcast streaming service Stitcher Premium, with comics fans excited to see what the future will hold for audio releases based around Marvel Comics characters and locations. But The Long Night isn’t the first time that Marvel have delved into the world of audio dramas, they’ve actually been releasing them for almost as long as they’ve been releasing comics. Before the silver-screen debut of Benedict Cumberbatch as the Master of the Mystic Arts, Marvel decided to bring Sorcerer Supreme Doctor Strange into the world of audio dramas with a seventeen-episode radio show which ran from 1967 to 1970 on a single New York radio station. It’s a fun series that begins by matching Steve Ditko’s origin for the Sorcerer; we listen to The Ancient One (who has a somewhat questionable accent) explain how Stephen Strange lost the use of his hands during a car crash, and how he can never perform neurosurgery again. The rest of the episodes focus on classic Strange tales and are all fully fleshed out with music, SFX and a complete cast of voice actors. It’s a show that was pretty faithful to the comics, but that also injected new life into a character that had only previously existed within the pages of Marvel comic books. The way the story goes is that some folks at a New York radio station decided to do up these shows due to the growing popularity of Marvel Comics…they reportedly contacted Stan Lee about it and Stan showed up at the station to give his seal of approval…so they did a total of 17 episodes. Unlike a lot of later radio series attempting to recapture the glories of old-time radio, these are marvelously done, making full use of sound effects, accents, music good radio acting and, of course, those familiar, now-classic Ditko plots! Whilst the radio show has never officially been released by Marvel (and isn’t even widely known among fans of the Sorcerer Supreme, considering it was only ever broadcast on a single radio station during its run), savvy Marvel fans can find audio copies of the show on YouTube and Marvel forums if they want to go digging for them. Just don’t blame me if you end up in the Astral Plane for your Internet piracy crimes! The Fantastic Four radio show was a thirteen episode radio show that aired in 1975. Best known now for featuring the voices of Stan Lee as the Narrator and Bill Murray (yes, that Bill Murray!) as The Human Torch, the Fantastic Four’s radio debut featured the team as they faced off against classic Fantastic Four enemies like Doctor Doom and Super-Skrull. The Adventures of The Fantastic Four is perhaps the most well-known of all of Marvel’s older audio dramas and radio plays, and all thirteen episodes of the show are available to listen to online with not too much searching required. Official copies of the show were also released on vinyl, but they’re harder to track down now, with copies on Amazon and eBay being offered for $150-$200 USD. In the 1990s, the BBC decided to dramatise the adventures of Spider-Man over the course of about two and a half hours of radio drama. It featured some insanely fun (and insanely 90s) theme music by Brian May, and followed the first fifteen or so issues of Marvel’s The Amazing Spider-Man, explaining how Peter Parker gets bitten by a radioactive spider, and how he has to face off against classic foes like Vulture and Doctor Doom. It’s a loud, melodramatic retelling of Spider-Man’s most classic tales, but it works really, really well as a radio play. New York is brought to life with colourful shouting, blaring taxi horns and the gritty voices of petty thugs that Spider-Man has to face off against. It’s the kind of thing that would never get made nowadays, with audio dramas choosing more subtle ways to tell their stories, but it’s a really fun listen and, being a BBC radio play, is high quality and was clearly made with lots of love for Spidey and his friends. As far as I can tell from my research, it’s only available to purchase on audio cassette, but it’s pretty cheap to buy if you want to get your hands on a copy, with Amazon and eBay both listing tapes at around $5-$10 USD. Between 2013 and 2017, audio production company Graphic Audio (whose tagline is “a movie in your mind”) produced a wealth of audio adaptations of some of Marvel’s most famous comic events and stories including Planet Hulk, X-Men: Days of Future Past, Daredevil: The Man Without Fear and many more. These productions are more audiobooks than audio dramas, as they’re often narrated by an individual who provides a lengthy commentary for the characters’ actions, though they’re still fully accompanied with a fleshed out voice cast, along with SFX and music. As far as I can tell, Graphic Audio’s adaptations mostly revolve around prose versions of Marvel’s tales, such as Dr Strange: The Fate of Dreams, hence why they’re narrated as well as acted. However, they’ve also adapted directly from the comics themselves, like their production of Ms. Marvel Volume One: No Normal. It is unclear if Graphic Audio have plans to release any more Marvel audio dramas in the future, though Marvel may have decided to focus on podcast releases for their upcoming audio titles. While most people know of The Captain America Adventure Program as a fictional radio drama series that featured in Marvel’s Agent Carter television show, a lot of Marvel fans don’t know that the show came very close to existing in our own world. However, despite getting that second season and positive critical reactions from news/review outlets, Agent Carter was cancelled after season two, and those podcasts never materialised in our own world. We can only mourn what could have been, and keep our fingers crossed that Marvel’s renewed interest in podcast audio dramas might mean that we’ll get to hear those Captain America stories after all! If you haven’t listened to The Long Night yet, definitely check it out if you’re a Marvel fan! Richard Armitage makes a surprisingly awesome Logan, and the setting of Alaska is fully fleshed out with a stellar cast and a backdrop of scenic SFX and dramatic music. Marvel is currently partnered with Stitcher to offer listeners a month’s worth of free Stitcher Premium with the offer code “MARVEL”. 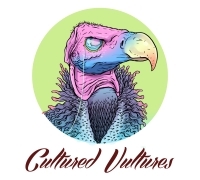 Other Stitcher shows include Comedy Bang Bang, WTF with Marc Maron and The Art of Wrestling with Colt Cabana. Did we miss any audio dramas off our list? Let us know in the comments below!